The Powell River Kings board of directors is pleased to announce the appointment of Tyler Kuntz as head coach and general manager of the Powell River Kings Junior A Hockey Club. Kuntz comes with several years of experience in the hockey world. The 39-year old Lumsden, Sask. native has over a decade of coaching experience and was the assistant coach with the Daemyung Killer Whales in South Korea last season. 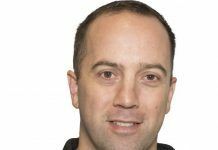 Prior to that, Kuntz was the assistant coach for the WHL’s Vancouver Giants from 2015 to 2017 and head coach of the University of British Columbia Thunderbirds for the 2014-15 season after serving as an assistant coach with the program for four years. He also ran the Vancouver Canucks pre-season training camp on-ice sessions in 2014 and 2016 under the guidance former Canucks coach Willie Desjardins. Before coaching, Kuntz patrolled the blue line for the BCHL’s Burnaby (now Alberni Valley) Bulldogs in 1998-99 before moving on to a five-year career with the UBC Thunderbirds, earning a Bachelor of Education degree. Following university, Kuntz played professionally in Europe and North America. Kuntz adds that Kings fans can expect a well-prepared team to compete hard every night. The addition of Kuntz to the Kings coaching staff is a big one according to Kings president Rob Villani. The first focus for Kuntz is to become acquainted with the current Kings staff, and then oversee Kings Spring Camp in Kamloops on May 11 to 13.